Royal Free Hampstead NHS Trust, whose staff treat 500,000 patients a year from around the world, has run into "significant" problems including system crashes, delays booking patient appointments and data missing in records. The difficulties raise questions about whether the trust's board, under central pressure, went live too soon with Release 1 of the Cerner Millennium Care Records Service. The trust had already postponed go-live at least twice. It finally went live in June. The Royal Free's board was told last week: "Some individual clinics have genuinely struggled to manage the implementation of Cerner. In the main these clinics tend to be those with the largest volume of patients." Appointments are said to have been lost in the system - and some staff have told the local paper, the Camden New Journal, that there have been weeks of "chaos". One clinician said more time was being spent on booking appointments than in his clinic treatment patients. The Royal Free is the first NHS trust in England to go live with the Cerner Millennium London Cluster Release 1 (LC1) of the Care Records System from BT Health, the local service provider for London. Cerner's LC1 links to the NHS data spine and supports the use of electronic swipe cards to access patient records. Other trusts in London and the south of England have gone live with Release 0 of the Cerner Care Records Service. The Care Records Service - the roll out of which is running four years late - is a central part of plans to build a database of 50 million summary health records under the NHS's £12.7bn National Programme for IT (NPfIT). 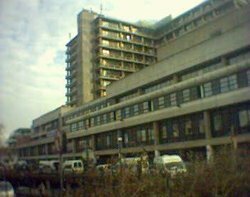 The Royal Free, which is close to Hampstead Heath, has a leading cancer centre. It is also renowned for its specialist treatment centres. It has been preparing for the go-live of the Cerner system for more than a year. The trust says that its Cerner launch was "comparatively successful when compared with other acute trusts". Barts and The London NHS Trust delayed cancer visits after its Cerner Release 0 go-live. The deployment of a NPfIT Care Records System at Milton Keynes Hospital NHS Foundation Trust "developed into an untenable situation which resulted in near melt down of the organisation", according to papers released to E-Health Insider under the Freedom of Information Act. Royal Free's board was told last week that some of the problems were expected but not all. Executives have set up arrangements to prioritise problems in such areas as the scheduling of operating theatres, handling of inpatient waiting lists, outpatient clinics, maternity, gynaecology, paediatric services, pathology, radiology and nuclear medicine.